The organization is overhauling its competition in a post-#MeToo world. "We are no longer a pageant," Gretchen Carlson, the first former Miss America to be named chair of the Board of Trustees of the Miss America Organization, said on "GMA." "We are a competition." (Courtesy Miss America Organization ) The new logo for the Miss America pageant is pictured here. (Lou Rocco/ABC via Getty Images,FILE) The 2018 Miss America Competition at Atlantic City's Boardwalk Hall, Sept. 10, 2017, in New Jersey. The contestants from all 50 states and the District of Columbia will be asked to demonstrate their passion, intelligence and overall understanding of the job of Miss America. The organization is also getting rid of the evening gown portion of the competition and instead asking contestants to wear attire that makes them feel confident and expresses their personal style. 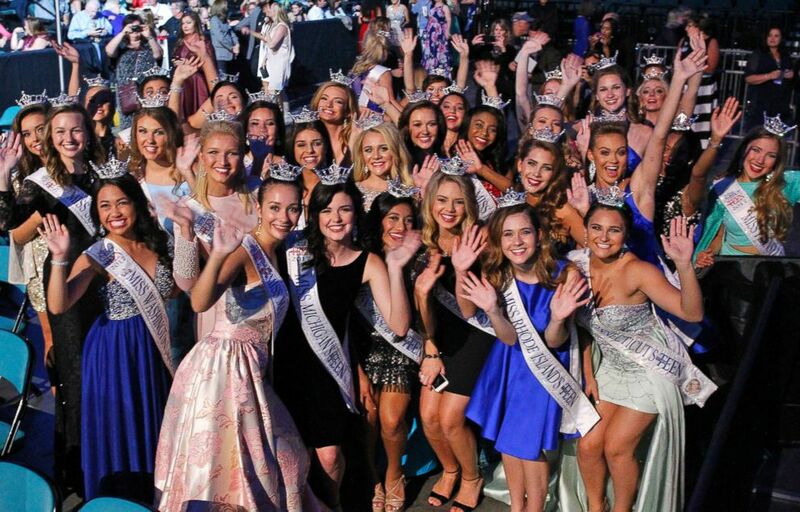 The contestants will also discuss how they will advance their chosen causes, called "social impact initiatives" by the Miss America Organization. (Lou Rocco/ABC via Getty Images) The 2018 Miss America Competition at Atlantic City's Boardwalk Hall, Sept. 10, 2017, in N.J. In addition to being crowned Miss America in 1989, Carlson has more recently been an outspoken advocate for victims of sexual harassment and a champion of the #MeToo movement. In 2016, she settled a lawsuit against former Fox News Chairman and CEO Roger Ailes, who stepped down from his role after mounting pressure from additional employees with similar accusations. Sam Haskell resigned after leaked emails showed him demeaning former winners. Carlson is taking the helm of Miss America nearly three decades after winning. Hagan appeared on "GMA" in the wake of the Miss America email scandal. (Axelle/Bauer-Griffin/FilmMagic via Getty Images) Gretchen Carlson attends the 2018 Vanity Fair Oscar Party at Wallis Annenberg Center for the Performing Arts, March 4, 2018, in Beverly Hills, Calif.
Carlson is now part of an all-female leadership team at Miss America. "This is a new beginning and change can sometimes be difficult but I know a lot about change," she said. "My life has worked in mysterious ways. I never thought I’d be the chairwoman of the Miss America Organization, but here I am and we’re moving it forward and we’re evolving in this cultural revolution." 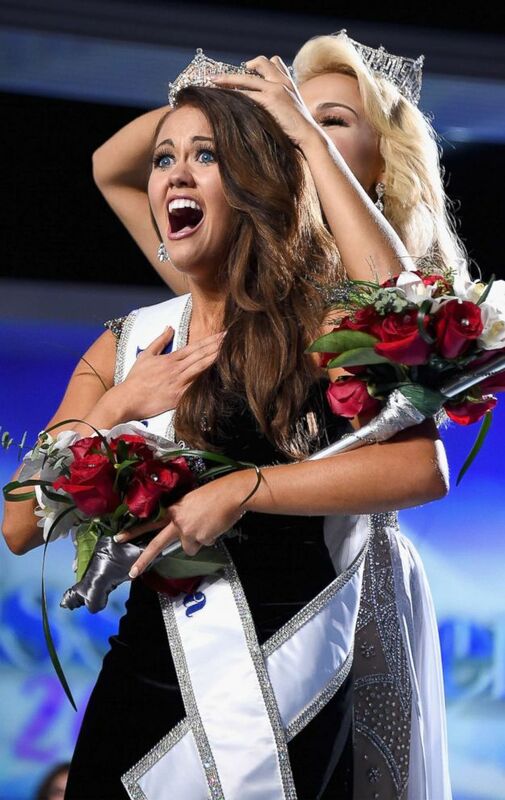 (Michael Loccisano/Getty Images) Miss North Dakota 2017 Cara Mund is crowned as Miss America 2018 by Miss America 2017 Savvy Shields during the 2018 Miss America Competition Show at Boardwalk Hall Arena, Sept. 10, 2017, in Atlantic City, N.J.